Privatizers have long praised “the marketplace” as the best means to determine which schools are good and which are bad. Let the customer choose. Let the market decide. Between 2000 and 2013 “the marketplace” saw 2500 charter schools close, disrupting the education of nearly 300,000 students. In a desperate search for the magic bullet which will help all students learn, charter operators have diverted billions of taxpayer dollars from public schools and failed to deliver. Why not consider the stability of local, neighborhood schools? Fix our neighborhood schools. Don’t close them. You shouldn’t be surprised when families “choose” to send their children to schools that have resource advantages, even if they lack transparency and accountability to the communities they supposedly serve. After decades of relying on inadequate tests we are still trying to put a grade on everything. What does that mean? For the most part it means that we have children whose parents are well-educated and have a good income. What about the ‘F’ schools? We close them (unless, of course, they’re charter schools) and label their students failures. Winners and losers…it’s all about winners and losers. The letter grade is based on one data point alone – the “all-knowing, all-seeing” standardized test. Standardized tests were never developed to measure the ability of a teacher, the efforts of support staff or the success of a school. My position, as a teacher, is that I would never simply give my students one grade a year and expect them and their parents to figure out how I got to that grade. My position, as a taxpayer, is that I want to know more about my neighborhood school than just its performance on one test. No one has asked me, but my definition of “grade level” is the average score that a child of a particular grade receives on a test. My definition of “grade level” is the average reading level that a child of a particular grade is able to read. My definition of “grade level” is that it should be based on what children can do, not what the testing industry says they should do. Therefore, “grade level” should not be stagnant for all time, since achievement levels of students are higher today than they were in the past. The “common core” is developmentally inappropriate for many students. Basing a test on what the “common core” says is appropriate for a particular “grade level” is illogical. The “common core” standards have never been shown to be appropriate for actual students. They are simply what a group of privatizers decided students ought to learn. They have no basis in reality since they have never been tested. Calling students failures because they failed a test which was apparently developed in order to fail them, is, quite simply, educational malpractice. …I don’t know who decided to describe the passing mark as “grade level,” but that is erroneous. 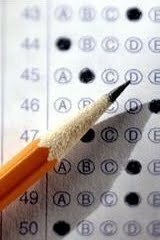 Last spring thousands of parents across the country opted their children out of their state’s standardized tests. The National Association of State Boards of Education (NASBE) has compiled information from all 50 states stating exactly what the state’s opt-out policy is. Most states, while their leaders shout “choice” for the purposes of privatization, do not allow “choice” when it comes to allowing parents to “choose” whether or not their children are subject to annual (or more frequent, in some cases) testing. Governor Pence in Indiana, along with his supporters in the state legislature, are all for “choice” when it lends itself to the privatization of public schools. Parents can get vouchers to send their children to private, or religious schools. Charter schools are popping up all over the place (and closing as well. See CMD Publishes Full List of 2,500 Closed Charter Schools (with Interactive Map), above) and spending tax dollars to advertise and entice parents to choose their school. But in Indiana, parents do not have the “choice” of opting their child out of the ISTEP. In fact, those who do can be prosecuted for violating school attendance laws and in certain circumstances their children will be punished by not being allowed to progress to the next grade or graduate. Additionally schools will be punished for having too many students absent on test day. You can see the whole chart if you click here. The entry for Indiana is below. 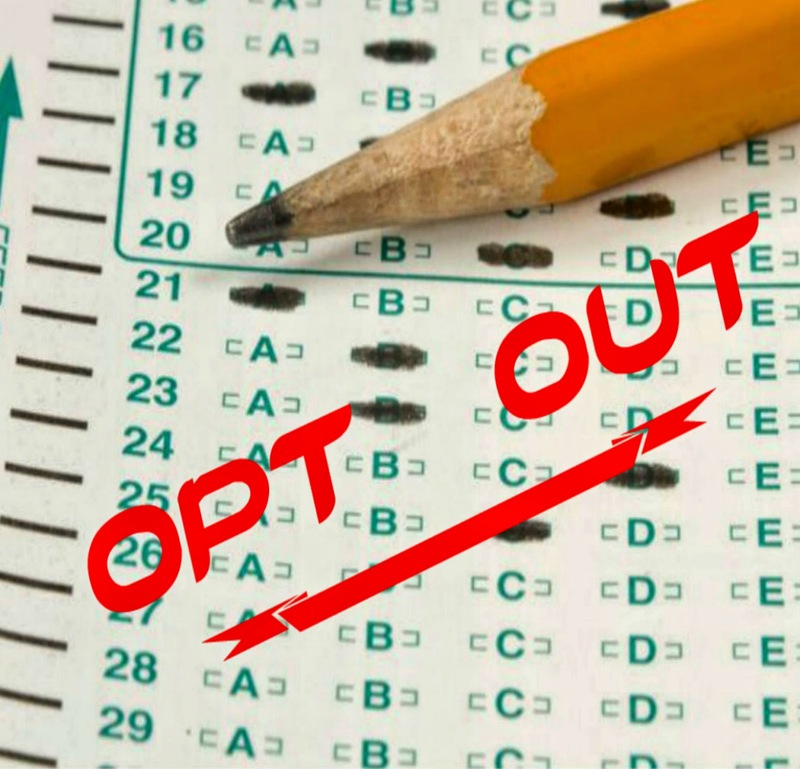 Opt outs are not permitted under state law. In the state’s 2014-15 assessment program manual, the state education agency clarifies that although state and federal law do not ban parents from refusing to let their students take standardized tests, opt outs are not permitted, and parents who do not send their children to school on testing days with the intent of excluding them from tests are violating state school attendance laws. 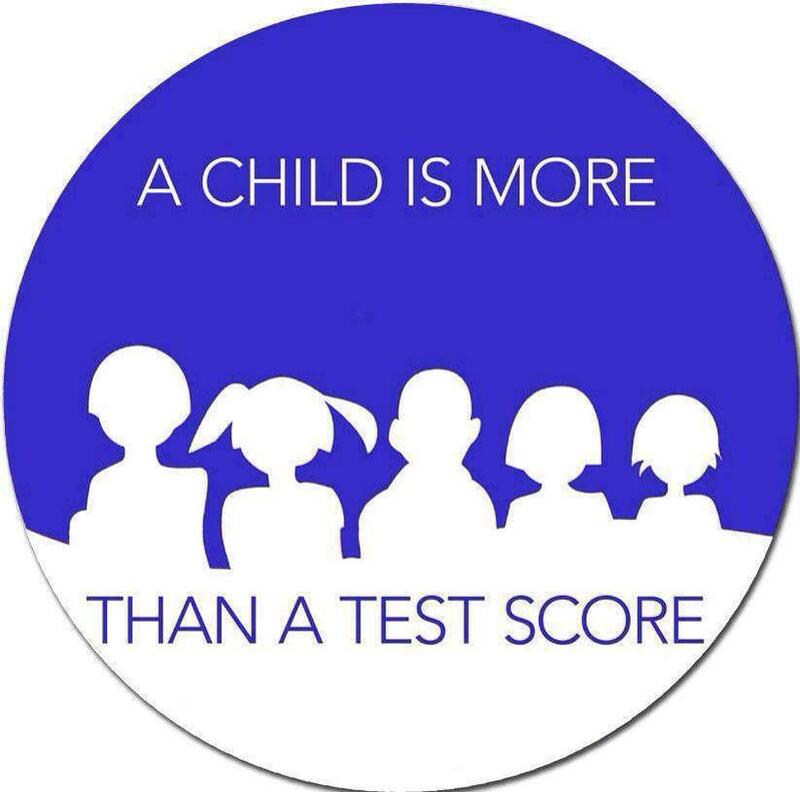 Students must take state tests to graduate or be promoted from the third grade, and schools with lower than 95 percent student participation may see their performance and improvement grades suffer. The following graphic shows state by state policies. States labeled in dark green (California and Colorado) give parents the choice to opt-out their children. 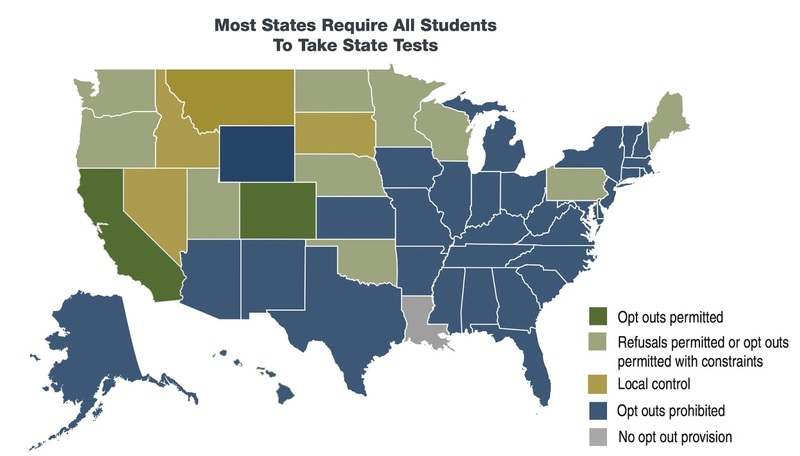 States in dark blue (34 states plus D.C.) do not allow parents the “choice” of opting out of the state test. 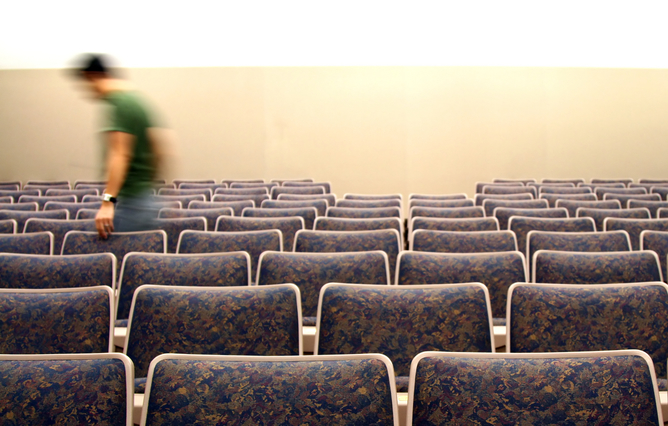 Are privatizers still trying to improve education by making teaching a less attractive career? It appears so (though perhaps the goal is not really improving education so much as damaging the teaching profession and destroying public sector unions). No. If closing the achievement gap were the goal, we would see demands for adequate, equitable resources and funding for every student in every school — demands, for example, for quality early childhood education programs, full-time librarians, robust arts and physical education programs, mandated caps on class size, and enough time for teachers to prepare and collaborate. We would also see a renewed commitment to affirmative action in university admissions; a drive to recruit and nurture teachers of color; a commitment to ensure that students come to school ready to learn because their families have housing, food, medical care, and jobs; and an end to zero tolerance discipline policies that criminalize youth. The idea of “pay for performance,” which involves supplementing teacher pay or providing bonuses based on student test scores, is one of the latest educational fads to sweep the country. The fact is, research indicates that performance pay will not improve teaching or learning. I asked if Obama, Duncan know the impact of their teacher evaluation policies. This is their answer. Read the answer from the US. 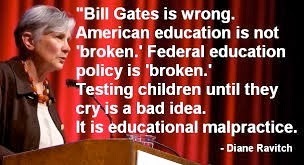 Education Department, if you are able to understand it. The truth is that federal (supported by both Republicans and Democrats) education policy is invalid, and, it seems, deliberately intended to misrepresent the effectiveness of teachers. Your Education Department has promoted policies that link teacher evaluation to student standardized test scores. Because tests are only given in math and English Language Arts, many teachers around the country are evaluated by the test scores of students they don’t have or by the test scores in subjects they don’t teach. For example, in New York City middle schools, it’s been estimated that over 60 percent of New York City teacher evaluations are out-of-subject. An art teacher would be evaluated in part on student math scores. Are you aware of this state-level consequence of federal policy and do you think it is fair to teachers? Privatizers and pundits are now in the midst of a campaign to tell us that “we don’t know” why there’s a teacher shortage. Media, in their continuing disingenuous quest for balance in their reporting, are parroting the privatizers’ excuses that the teacher shortage was caused by the recession. …and generally creating chaos through a ‘reform’ plan of constant upheaval and disruption. Wasn’t it lucky then, that Indiana had the foresight to arrange it so you didn’t really have to be a teacher in order to take over a classroom! And this happened entirely without anyone knowing that there would be a teacher shortage in the not-to-distant future. I was a member of my teachers association’s (aka union) negotiations team for several years before I retired. I noticed that during negotiations the news media would only report on the amount of money teachers wanted for a raise. There was rarely, if ever any comment about how we wanted to reduce class sizes or increase teacher preparation, both of which would help students. Politicians often claim that teachers unions are only interested in keeping “bad” teachers in their “jobs for life,” just getting more money, and not caring about the students. It was the Indiana legislature which took away the ability of teachers to negotiate for items which could actually benefit students. Not just teachers…school boards no longer have the right to negotiate items which could benefit students either. In 2011 the legislature decided that only salary and insurance could be negotiated into a teachers contract. Nothing else. Congratulations to Seattle’s teachers. After a five-day strike, they won a contract that increases teacher pay by 9.5 percent over three years. Just as significantly, the deal includes benefits for students: guaranteed recess and the creation of panels to address racial disparities in discipline and learning. It would be nice to think Indiana teachers and school boards might follow that example and bargain for contract provisions that help children. But they can’t. It’s against the law. Thanks to school reform laws that the state legislature approved in 2011, teacher collective bargaining in Indiana can deal with salary, wages and fringe benefits – and nothing else. Monday, September 14, 2015 was the ninth anniversary of my beginnings as a blogger. When I began writing I named the blog On Beyond Thirty because I had just passed my 30th year as a public school teacher. I began my professional career as a half time kindergarten teacher in January of 1976. For the last 5 years I have volunteered at local elementary schools, working with students who are having reading difficulties in grades 1 and 3, so while I haven’t been an active, full or part time teacher, I’ve still spent between 15 and 20 hours a week teaching students in a public school. I’ve also worked as a member of the Northeast Indiana Friends of Public Education (NEIFPE), a public education advocacy group. This January, 2016, then, will mark my fortieth year in public education — not including my time as a public school student. I want to look closely at what’s happening in our schools and try to determine why it’s the politicians who are determining the curriculum and teaching methods. I want to figure out why teachers have become the enemy to so many Americans and what I can do to rectify that misconception. I want to help re-make the public schools in the US into places where children learn and teachers teach and discover the joy of that interaction. I want to figure out ways to make readers and thinkers out of my students…and I want to find ways to help them let go of the pain of failure and learn to enjoy learning. By volunteering to help at-risk students in my local schools I hope I have continued to fulfill my second goal. The first goal, however, is much more difficult. Over the last nine years I have written and reported about “reformers” attempts to privatize public education in Indiana and across the nation. People like Bill Gates, Arne Duncan, and Rahm Emanuel, on the national level, and Tony Bennett, Mike Pence, and Robert Behning in Indiana, have done their best to divert public tax money to privately run charter schools as well as to private and religious schools. They have worked to deprofessionalize the teaching profession, claiming schools can be staffed by untrained novices. They have worked to eliminate neighborhood schools and in some places require students to “apply” to go to a particular public high school. They have closed dozens of public schools, mostly in America’s poor neighborhoods, and replaced them with unregulated, profit generating, charter schools. They have done their best to divide students into “winners” and “losers” based on geography, test scores, and economic status. They have weakened our society by subverting attempts to equalize economic and racial gaps. Instead of abandoning and closing neighborhood public schools, we should support them. …K-12 public schools are the only educational institutions in the state and nation which accept all students no matter what their ethnic background, physical condition, first language, and academic ability. …public schools don’t counsel students to go somewhere else because they don’t have the staff to teach difficult or expensive to educate students. Public schools are required by law to educate every child who enters. …public schools are (or ought to be) controlled by elected school board members who are tasked with the public oversight of the schools academic success and funding and who are answerable to the public. Charter schools and private schools often have no such requirement. …public education benefits everyone because it offers all children the opportunity to become informed, well-educated, citizens capable of making informed decisions. People with an understanding of how society and our government works are less likely to need public welfare, or incarceration. Educated individuals make a better, richer, society for everyone. Does public education need to be improved? Certainly, but we don’t improve a school by closing it and replacing it with an unregulated charter school run for profit and with no public oversight. We don’t help students climb out of poverty by underfunding their schools. We don’t increase student achievement by hiring untrained, poorly trained, or barely trained people to masquerade as teachers. We don’t improve public education by stripping it of resources to fund political campaigns. We don’t strengthen our society by separating children by economic status and race. We improve public education by working with the school administrations, school boards, teachers, parents, and communities to reach all students, even those who are difficult to educate…even those who are expensive to educate. High-needs schools need higher levels of support…not the same funding as wealthy schools. Equality doesn’t mean equity. A final purpose of this blog is a selfish one. This is a place for me to vent my frustration over what privatizers are doing to public education. I am not a journalist. I don’t do investigative research. Instead I editorialize about what I think ought to be…and I’ll continue to do that. Dave Bangert reports on the current fight over tenure policy between the faculty at Purdue University, and the President and Board of Trustees of the University. The President is former Indiana governor Mitch Daniels. During Monday’s University Senate meeting, faculty leaders said they wanted better definitions of at-risk students and measurements for what counted as tenure-worthy mentorship — including assurances that professors who deal mainly with graduate students wouldn’t be penalized. So that entire line about mentoring undergraduates was struck out — in red — under the University Senate resolution approved Monday. The faculty Senate also balked at language that would have given faculty a leg up on tenure if they developed competency-based courses — ones Daniels has pushed for and that would be based more on mastery of the material than the straight semester-oriented work done now. You can read the discussion of the issues in the article. The part that got my attention was a comment by the University (faculty) Senate Chairman, Kirk Alter. Alter is right that K-12 tenure got “left behind in Indiana (when Daniels was governor).” Indiana K-12 teachers don’t have tenure any more. In other words, if a principal wants to fire a teacher there doesn’t really need to be any reason other than they don’t like each other, or the principal wants to clear the spot for his niece, a school board member’s nephew, or the superintendent’s first cousin once removed. Teachers in Indiana have the right to go to the superintendent and talk about why they got fired, but there’s no other recourse unless the school system (or the principal) broke the law. Perhaps the members of the Purdue faculty remember how easy it was to strip the state’s K-12 teachers of their tenure and they’re afraid it will happen to them, too. When Mitch Daniels is in charge this is a real threat. On the other hand, Alter’s description of K-12 tenure as something you get “by breathing” is a common misunderstanding promoted by the “reformers” to bust unions and divide pro-public education teachers and the families they serve. “Reformers” purposefully misrepresent the facts of K-12 tenure in order to weaken teachers unions and reduce teachers rights. Tenure for K-12 teachers is not something you get “by breathing.” Principals have complete power to fire teachers during the first few years of a K-12 teacher’s career. If Principal says to First Year Teacher, “I don’t like the way you teach. You’re fired” then that teacher is fired. More than 40% of beginning teachers nationwide are either fired or “counseled out” of education during their first few years. If a teacher makes it to “tenure,” otherwise known as “permanent status,” it’s because the principal allowed them to get that far, apparently because he or she was good at their job. So, fact number 1: Not all K-12 teachers get tenure (or “got” tenure before the legislature decided that it was an unnecessary perk with which to attract and keep the best people in our public school classrooms). In the public schools, however, tenure means due process. There is no ironclad tenure for teachers. A teacher who has tenure is entitled to a hearing before an impartial arbitrator, where the teacher has the right to see the evidence and the grounds for the charges against him or her and to offer a defense. Critics say that the dismissal process is too cumbersome and too costly; they say it takes too long to remove an incompetent teacher. In some states and districts, that is true. It is the job of the state and the district to negotiate a fair and expeditious process to handle charges and hearings. The hearings should be resolved in months, not years. After a fair hearing, teachers found to be incompetent or guilty of moral turpitude should be removed without delay. Fact number 2: Tenure for K-12 teachers does not mean “a job for life.” It means due process. Period. Read that again…it’s not that difficult to understand. 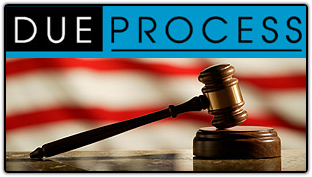 The benefit of due process, which Indiana teachers no longer have, was one way they protected themselves from arbitrary or punitive firings by administrators, but in 2011, then governor Mitch Daniels and his fellow “reformers” in the Indiana General Assembly stripped K-12 teachers in Indiana of this due process. Now the media is focusing on the teacher shortage in Indiana. When politicians who don’t know anything about the field of education start making punitive laws affecting teachers and students, fewer people will want to teach. It’s that simple. Comments Off on Why is This So Hard to Understand? As schools across the state and nation started up last month, the teacher shortage hit major news outlets. If you’re a regular reader of this blog you’ll know that I have been talking about this for quite a while. I wrote about it in 2007 here, and continued to write about it since then. Click here for most of them under Why Teachers Quit. The point is…it’s not a surprise. It’s not sudden. And those of us who are (or were) public school teachers saw it coming. On July 12, 2015, the IndyStar reported that school districts all across the state are struggling to find first-time teachers as the number of graduates from education programs has dropped a dramatic 63 percent in recent years. For the 2009-2010 school year, the Indiana Department of Education issued 16,578 teaching licenses. During the 2013-2014 school year, they issued only 6,174. The U.S. is in the midst of a period of selfishness. “I’ve got mine…get your own.” Taxes are anathema, even when needed. 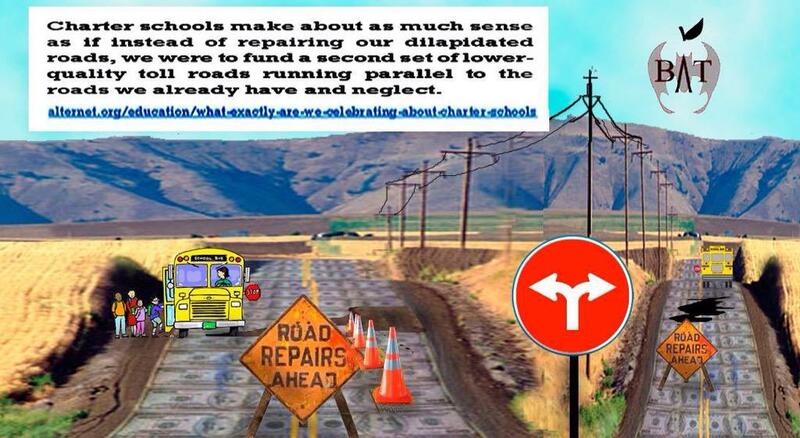 Our infrastructure is crumbling because we, as a nation, are not willing to pay for upkeep. Our schools are struggling to make ends meet because we haven’t got the foresight to see that our future depends on today’s children. This isn’t just a problem in the state of Indiana. After years of recession-related layoffs and hiring freezes, school systems in pockets across the United States are in urgent need of more qualified teachers. Shortages have surfaced in big cities such as Tampa, Florida, and Las Vegas, where billboards calling for new teachers dot the highways, as well as in states such as Georgia, Indiana and North Dakota that have long struggled to compete for education graduates. Here’s something else we could see coming. When you evaluate and punish teachers based on their students’ test scores, teachers are going to avoid students who do poorly on tests, like students who have special needs, English language learners, and students who live in poverty. A panel of education stakeholders analyzing teacher recruitment and retention met for the first time Friday and heard data showing lower retention rates for schools with high-poverty and/or minority rates. Pay is only one aspect of why there’s a teacher shortage. Poor pay, poor working conditions, and a public narrative which blames teachers for everything from lack of parental guidance to national security, is not conducive to convincing young adults to seek out a career in teaching. 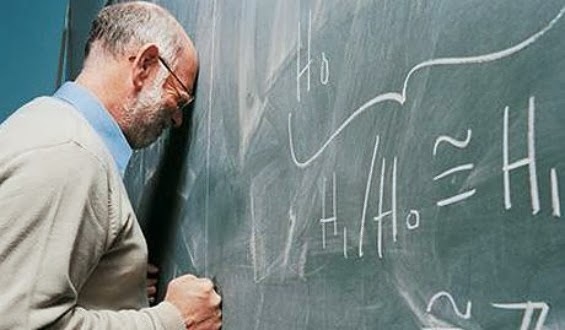 However, even if the teacher shortage is localized as some claim, the number of experienced teachers is dwindling as those teachers who can are leaving the profession for early retirement or other careers. The declining pay (in real dollars), poor working conditions, and public narrative, are the direct results of the privatization movement. The result is fewer new teachers, and more experienced teachers who are quitting. “Reformers,” however, deny that privatization plays a part. They blame aging boomers, and the recession. Mark Lotter, spokesman for the State Board of Education to which Pence appoints a majority of members, said it’s simplistic to blame Indiana’s embrace of charter schools and private school vouchers for the state’s teacher shortage, since many of Indiana’s reforms are based on Florida’s model and that state is doing just fine with teacher hiring. He said Indiana’s shortage likely is due to a combination of fewer students in the teacher training pipeline and a major increase in teacher retirements as Baby Boomers hit age 65. 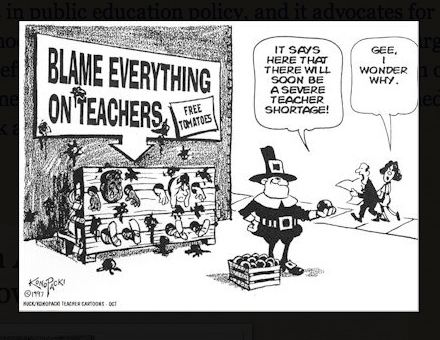 They also use the shortage to place blame on their favorite target, teachers unions. State Sen. Brandt Hershman, R-Buck Creek, who represents a portion of Northwest Indiana, said he believes teachers unions constantly are bad-mouthing education reforms to discourage new teachers from entering the field and then using the resulting teacher shortage for their own political and financial ends. Gordon Hendry, an Indianapolis Democrat and Pence appointee to the State Board of Education, recently announced a plan to reduce Indiana’s teacher shortage by financially encouraging superior college students to go into teaching. Hershman is wrong. “Reform” is the status quo in Indiana. Indiana is a state where public schools are closed so charters can open, where bankrupt charters are forgiven their taxpayer-funded loans, where an A-F school ranking system is manipulated for the benefit of political donors, where vouchers are available with only minor restrictions, where teachers are evaluated based on student test scores because testing is overused and misused, where teachers no longer have due process rights, where untrained or poorly trained non-educators can walk into a classroom and start teaching with minimal oversight, where the Governor and members of the State Board of Education blatantly prefer privatization over public schools, and where the highest ranking qualified educator in the state is harassed by the Governor and his lackeys for having the nerve to win an election. 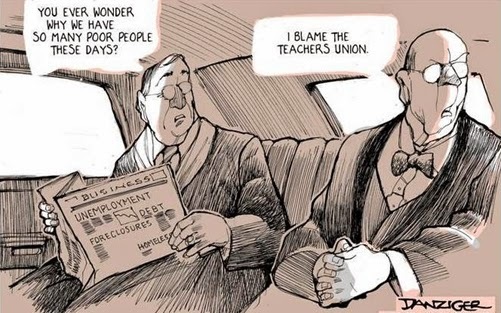 Once more we hear a politician say “it’s not the teachers, it’s the union” without the obvious recognition that the union is made up of teachers! Claiming the union is promoting a teacher shortage for “their own political and financial ends” is ridiculous. A teacher shortage would mean fewer teachers. Fewer teachers would mean fewer members for ISTA, Indiana’s NEA affiliate. Fewer members means less money for ISTA. Furthermore, what Hershman calls the union’s “constant negativity” is a not-so-clever deflection. What he perceives as negative is a rational reaction to the legislature’s and the State Board Of Education’s (SBOE) blatant attack on the rights of teachers and the solvency of public education. 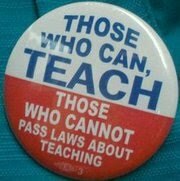 Since 2011 the Republicans in the General Assembly and the “reformers” on the SBOE have cut teachers bargaining rights, reduced due process to a “conversation with the superintendent,” lowered the qualifications for entering the teaching profession (all the while saying that we need better teachers), and diverted millions of tax dollars to private corporations and religious organizations. ISTA correctly reflects the feelings of teachers in Indiana, rather than directing a campaign of negativity. Teacher morale is at an all time low because of the actions of “reformers” not of the severely weakened ISTA. Hershman obviously dislikes ISTA…probably because ISTA wouldn’t support him. They likely wouldn’t support him because he doesn’t support public education. This is partisan politics…plain and simple. It is true, pay is a factor…and likely an important factor in the current teacher shortage, but blaming low pay alone shows that the writer of the article doesn’t understand what it means to be a teacher. Lack of professional respect from the media and political partisans, loss of control of one’s classroom, and the intrusion of days and days devoted to test prep and testing are just as important factors as pay. “The state has increased money for education.” If true, how much of that went to charter schools and vouchers? How much of that went to paying for standardized tests? For money to have a positive impact on public education it must be directed at the classroom. Lotter said it was simplistic to only blame money diverted to charter schools and vouchers as the cause of the teacher shortage. 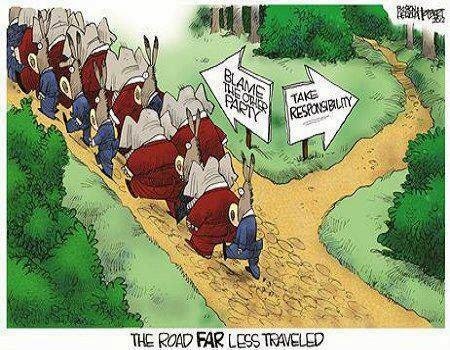 It’s equally simplistic to only blame low pay. Quoting Hendry in the interest of political “balance” is another indication of the complete ignorance of the writer of the article. Anyone familiar with the nation-wide education “reform” movement understands that there are some Democrats who are just as invested (economically, politically, and emotionally) in destroying public education as are Republicans. See Arne Duncan, Andrew Cuomo, Rahm Emanuel, et al. Indiana’s merit pay plan based on student test scores is, as has been shown nationwide, invalid and unreliable. Student achievement tests aren’t developed and field-tested to evaluate teachers. There are other important factors which are causes of student low achievement that are completely out of the school and teacher’s control. There are reasons why schools in high poverty areas have lower achievement levels…reasons like lower infant birth weight, lack of health care, increased rates of drug and alcohol abuse, and other factors related to poverty. As long as the mostly-wealthy members of the General Assembly ignore the high levels of child-poverty in Indiana, teachers who teach in those schools will be “punished” for dedicating their careers to working with the students who need the most help. Sen. Hershman ignores the legislature’s responsibility in ending poverty in Indiana and the destructive force which the Republican education policies have had on public education. Instead, he blames ISTA. This simply shows his partisanship and ignorance and is an example of the “constant negativity” that is the true cause of Indiana’s (and the nation’s) teacher shortage. The “money follows the child” philosophy has been a decades long excuse to divert tax money to private corporations and to provide tax breaks to individuals who send their children to private and religious schools. Since then, we’ve learned that most Americans don’t like the concept of public money going to private schools. The 2015 PDK/Gallup Poll of the Public’s Attitudes Towards Public Schools, once again showed that the majority of people (Republicans excluded) in the U.S. are against using public money for religious schools. Nationally, 57% of Americans don’t want public money to be spent on children going to private schools. Less than 1/3 are in favor of it. The fact that most private schools in Indiana which take vouchers are religious schools, is even more disturbing. Private schools don’t have to follow the same rules that public schools have to follow. They don’t need to accept every student. They don’t need to take students with disabilities or students who are English Language Learners, and they can use public dollars funneled through vouchers to teach religion. …voters have never approved a voucher plan. Since vouchers never got the support of the voters, “reformers” relied on state legislators to do the work for them. In these blog entries Professor Heilig reminds us that “school choice” originated as a way to avoid integrating schools when Jim Crow was abolished. He also discusses the Chilean experiment with “choice” and how it ended up segregating students, giving advantages to wealthier students. …implementation of a large scale, universal school voucher plan may imply various unintended negative effects on equity of education opportunity and the social integration of students within an education system. Such inequities not only operate between schools and school sectors, but also between districts. There are winners and losers in a market. Stratification and inequality is magnified in a voucher market for students without various forms of capital. Privatizers began their push for vouchers in Indiana by saying that it would improve education for everyone through “competition.” They claimed that it would help poor students escape from “failing” schools. They claimed that it would improve public and private education. None of those excuses are used any longer. Diverting money from public schools hasn’t improved public education…instead it has forced public schools to do more with less. Competition doesn’t work in public education and shouldn’t be allowed…because when there is a competition someone loses. Instead of helping a few students “escape” from poor performing public schools we should have improved those public schools, worked to eliminate poverty, and equitably funded the public schools. That means that schools with more needs get more. In contrast, the last legislative session made sure that schools with high poverty students lost money, while those with wealthier students got more. In Wisconsin, approximately 79% of the students who received a taxpayer-subsidized voucher in 2013 were already attending private schools. This means taxpayer dollars are not being used to advance public education, but instead are being used to subsidize the education of a small number of students already enrolled in private schools at the expense of students in public schools in an attempt to further privatize education. Not only do voucher schools exhaust needed resources in public education, these schools also fail to serve all students. In Wisconsin, advocates for people with disabilities, including the ACLU and Disability Rights Wisconsin, have raised concerns that Wisconsin’s school choice program, either tacitly or explicitly, allows voucher schools to discriminate against students with disabilities in their admission policies. Students no longer have to attend their local public schools at all. They no longer have to be attending a “failing” (aka school with high needs) school. They no longer have to do anything but ask for public tax money to spend on religious indoctrination. Peter Greene tells us that no one really wants choice. What he means is that parents want what they want — good schools for their children. The choice belongs to the legislature which ignores the high poverty in the state. It belongs to the corporate reformers who skim students avoiding those who are expensive to teach. It belongs to religious organizations who see a way to get public money for their religious teaching…public tax money into which they do not contribute. What would happen if we took all the time and energy and money poured into pushing charter/choice and focused it on turning the local schools into schools of excellence. Some reformsters are going to claim we tried that. I don’t believe that’s true, for a variety of reasons that would stretch this post from Too Long to Way Too Long. Some folks have decided that our model for school reform should be like a guy who finds his car filled up with fast food wrappers and in need of new tires– so instead of working on the car, he goes out and buys three new cars. It’s a waste of resources– and he can only drive one car, anyway. School choice and charter systems have turned out to be hella expensive, costing not only money but community ties and stability, and only rarely delivering excellence– and that only for a small percentage of students. Of course, it’s not just in Indiana…vouchers are spreading all over the country. 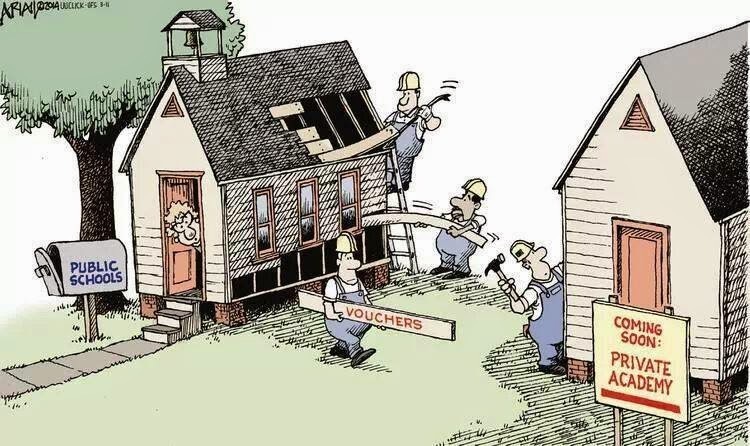 Even in those places where voters have rejected voucher programs, vouchers are being introduced through state legislators bought and paid for by lobbyists for corporate “reform” and religious organizations. Most states with voucher programs limit participation to students with disabilities or from low-income families. Nevada’s law, by contrast, is unprecedented because all of the state’s 450,000 K-12 public schoolchildren are eligible to take the money to whatever private school they choose. The law also does not limit how much public school funding may be siphoned for private and religious schools. Click here to read more about Indiana’s school voucher program. Jan Resseger has helped define the importance of public education…something which has been taken for granted for so long that the reasons for its importance seem to have been forgotten. 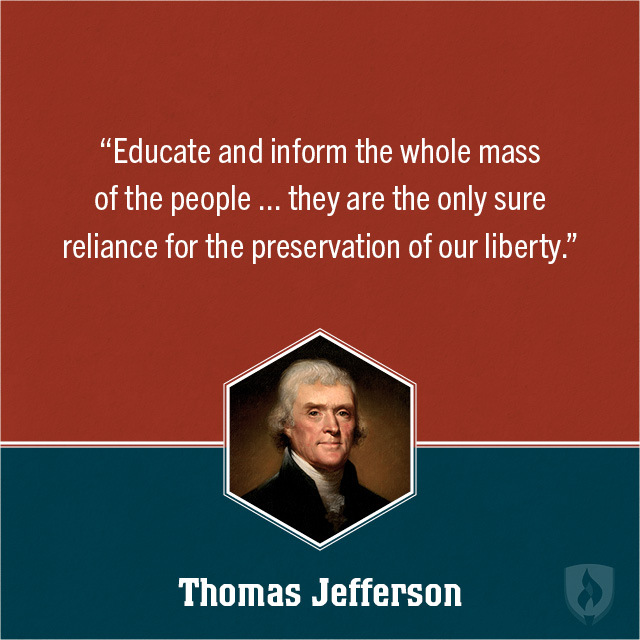 We all benefit from public education; An educated workforce and educated voters make for a better society. But we seem to have given up fixing public education in favor of tearing it down. The following article is about a book called Possible Lives, by Mike Rose. Resseger links to an article Rose wrote for Valerie Strauss’s Answer Sheet blog. Both articles are worth reading. How can we learn to value what we take for granted? Public schools are institutions we have taken for granted for so long that it’s hard to imagine they could disappear. In Cleveland’s saddest neighborhoods, I am jarred every time I drive by an empty lot where I used to see a school that has now been torn down. I still remember the names of each of the elementary schools in my small Montana town. Schools are the institutional anchors by which I define neighborhoods. But when people attack public education, as lots of people do these days, I struggle to know how to put into words my defense of this core civic institution. And now we come to the gist of today’s topic. Americans want great public schools but we’re not willing to work for them…or pay for them. We want perfection and if we don’t get it we need to blame someone. 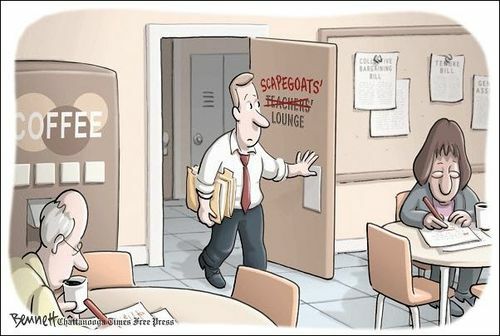 When it comes to public schools, we scapegoat teachers. We don’t blame parents who ignore their children’s education as long as nothing goes wrong. We don’t blame elected officials for not solving the problems of poverty, urban blight, and economic failures (or if we do, we don’t connect them to schools). Why are teachers leaving the classroom? The answers have been obvious for over a decade. There is a reason the airline safety videos instruct parents to affix their own oxygen masks before they help their children. A teacher’s oxygen mask is composed of adequate time to plan, read, grade, think and reflect; enough money to live decently; and the respect a well-educated professional deserves. Instead, bureaucrats put “children first,” as if the teachers have nothing to do with their success, and then hold teachers accountable for everything, whether within their scope of influence or not. Give teachers the oxygen they need and everyone will breathe easier. Overworked, underpaid, under appreciated, ignored: teachers who are treated like hourly, fast-food workers will quickly find teaching too emotionally draining to stay…and so they leave. 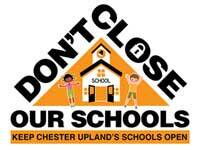 Hopefully you have heard about the Chester Upland school district in Pennsylvania…they’ve been struggling to stay open under the onslaught of pro-charter school, pro-privatization laws coming from the state legislature. Money for the Chester Upland public schools has been systematically diverted to charters…and now there’s none left to keep the schools open. Teachers and support staff are working pro bono. …These teachers and school employees haven’t been paid throughout the summer so it’s very, very difficult for them to meet a family budget without a paycheck in September. 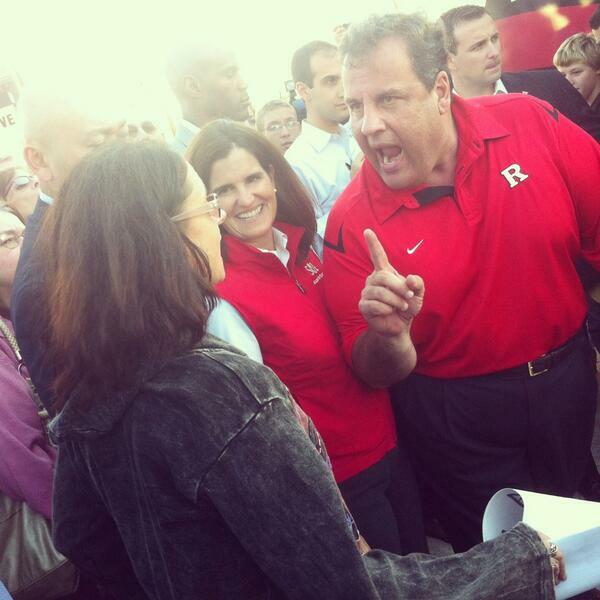 The Republican Party has eagerly embraced teacher-bashing as part of their 2016 agenda. So the next time you hear a Republican blame teachers for the state of public education, you should ask them to describe the last time they were forced to come to work without expecting to be paid. Despite the pressure to work for free, the Chester Upland teachers and staff claim they would do it anyway. Here’s someone who doesn’t think they should. Until we raise teacher pay, it’ll be hard to raise the status of teaching, despite the fact that we put our faith in the education system to cure society of every conceivable ill, from institutional racism to income inequality and lack of economic mobility. Teachers’ pay exposes what we think teachers are really worth. There’s no way to break down that mode of thinking if teachers agree to work for nothing. If you were one of those teachers would you come to school even though you haven’t been paid? Or would you stay home? It’s time for teachers to stand up for themselves…a task which is getting harder and harder to do as more and more rights and privileges are taken away by state legislatures. Do you stand up for your profession and your students at the risk of getting fired? Or do you keep quiet, do your job as best you can even though you know that there are things happening which are not good for students? Do not apologize for the fact that education is expensive. Do not apologize for the fact that you deserve a better salary. Do not apologize for the benefits you still have left. Do not apologize for the fact that, although school might only be in session from 8 AM to 3 PM, your workday begins and ends much earlier and much later. Do not apologize for the fact that you have summers off, because by God you’re not paid for that time and even you, dear Teacher, work a second job to make ends meet. reserve an ounce or two of the passion you normally spend on the poetry of cellular mitosis or the Louisiana Purchase or the quadratic equation and remind the people of your community that YOUR CLASSROOM IS NOT ON THE AUCTION BLOCK. Your job is not to be done by the lowest bidder. TEACHING IS NOT A CHARITY, it’s a profession, and we’ll soon be damned if we don’t start treating it as such. It’s just so disheartening to see what’s happening from the position of ‘teacher’. As resilient and adaptive as children are, it’s impossible for even them to shrug off all the craziness, stress, pressure, and a constantly changing schedule that has to morph itself around the constant testing regimen. [How much of our time is spent in testing and test prep? ]…4-5 weeks of echool with nothing but tests to account for what’s now required? Additionally, they’ve done nothing but add requirements that have no direct benefit to children, yet they’ve taken nothing off what teachers must do…with the expectation of even better results [from the students]. I can’t think of a more contradicting formula that undermines itself…as least at ground level. The disconnect between legislators and children is astounding. I fear that by the time the proverbial pendulum swings, we’ll have come so far and done so much damage to the profession, that it will take decades to fix. I sincerely hope I am wrong about that.